UCU’s higher education committee has agreed to launch an industrial action ballot in the dispute over the future of USS. They have said serious and sustained industrial action is required in the face of damaging proposals from the employers which would effectively destroy the pension scheme. latest proposals end guaranteed pensions and REDUCE retirement income for all. 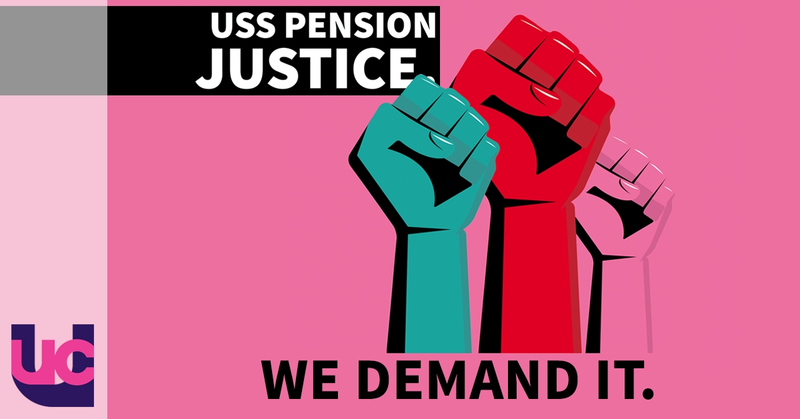 Since the result of UCU’s ballot in which 86.6% of members said they would be prepared to take industrial action to defend pensions, I have been trying my best to reach agreement with your employers on a way forward for our University Superannuation Scheme (USS) pension fund. UUK’s proposal is that – apart from death and incapacity benefit – USS should now become what is called a fully defined contribution (DC) scheme. In effect this means that your final pension is no longer guaranteed, but instead will be wholly dependent upon returns from the stock market on your ‘investment’. Everyone will be affected by this, with all but those closest to retirement facing a significant reduction in their income, but the biggest sufferers of course will be those at the beginning of their career – another slap in the face for people already facing casual contracts and poor promotion prospects. This proposal has been made despite the fact that USS themselves have shown that most employers can afford to pay more to help secure existing benefits and despite the fact that a majority of employers who responded to UUK’s own consultation said they wanted to retain a defined benefit scheme. This is not something that I ask you to do lightly. I know first-hand that you always put your students first. However, this dreadful proposal is predicated, in my opinion, on the employers’ belief that because you care you will put up with this rather than fight and risk damaging students.